Showing 31 - 35 of 159 matching projects. 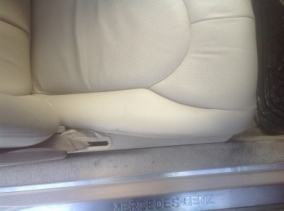 The seats in this classic Mercedes where discoloured and cracked. 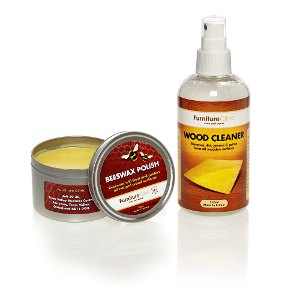 We managed to restore them back to look like new. 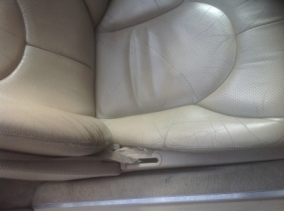 Heavily cracked leather on a jaguar seat was restored to look like new. These seats are huge! 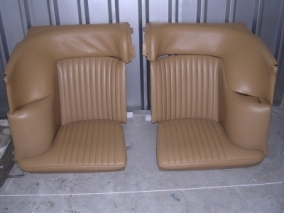 known as lounge seats from a 1977 Lincoln cabriolet. 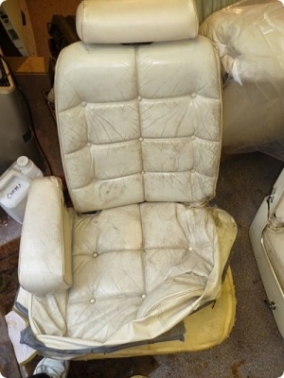 The one seat is in bits because the owner wanted to sort the springs out. 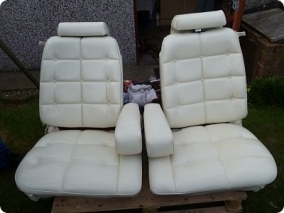 Seeing it was a more complicated job than he expected, he asked us to sort it out and restore the seats. We prepped the old pigment taking it back so that the old seal and and cracked pigment did not interfere with the new coating. Cracking was dealt with usng binders and flexible fillers then a colour matched pigment was put together. The customer didn't want the white to be as bright as the original but to be matched to the vinyl side panels which were slightly more cream. The binders, filling and leather were sanded down until smooth and then the coats of pigment were applied. This was finished with quite a glossy seal being American. 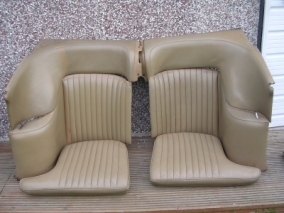 When the customer called to pick them up he said, 'I'm afraid you've made a dreadful mistake, these aren't my seats'!! A delight to do and so many like it. 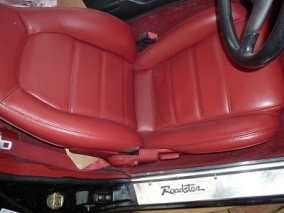 Over the 20 years the seats had become tarnished, very cracked and the seam on the driver's bolster had all but worn away. Sometimes this damage can be too bad to repair and a new panel is the better option, but we rescued this one. 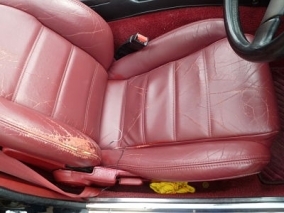 We cleaned down the 2 seats, cut the old pigment back, filled and bound the surface with Furniture Clinic products that strengthen the weakened leather and fill the cracks leaving the leather still flexible. 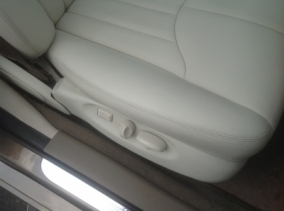 When the seats have dried the surface is sandable and this gives the leather a lovely smooth surface again. 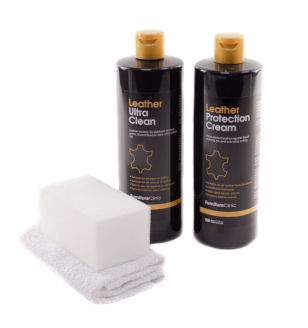 The leather is now ready for new pigment. The colour was matched to the how it was originally. 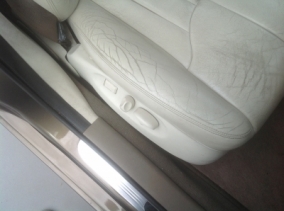 This was indicated by the plastic fittings and the leather that had been out of the sun. This car had just been acquired by the owner but if it had been regularly cleaned and protected in its past life there would probably have been little need for restoration. Having said this the new look was fabulous.